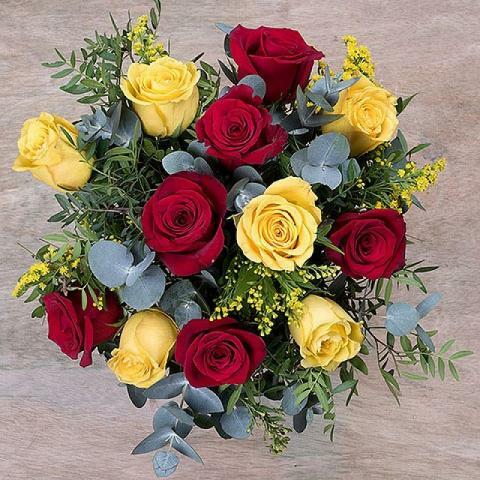 12 colourful red and yellow roses that emerge passionately like a flamenco dancer from our matching lush greenery and expressive gypsophila. 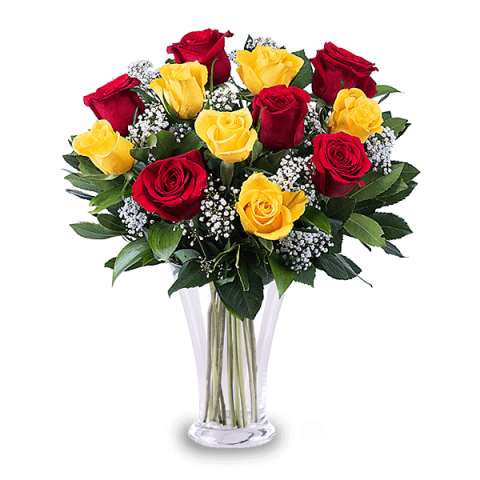 Make your gift the perfect surprise on someone’s special day by sending it just in time to say “congratulations” or “good luck”. Fast and efficient service, highly recommend.